A pamphlet on US/British detention policies in Iraq prepared by Sumoud political prisoner solidarity group (sumoud.tao.ca). Horrific pictures showing torture of Iraqi prisoners at the hands of US military personnel in Abu Ghraib prison gained world-wide attention in the last few days of April 2004. These photographs, which were broadcast on the US program 60 Minutes and made the front page of newspapers in the US, Britain and Europe, show US soldiers posing alongside naked Iraqi prisoners stacked in human pyramids and forced to engage in sexual acts with each other. One prisoner was shown hooded and draped in a long black cape with electrical wires connected to his hands. He was told, according to his captors, that if he fell from the pedestal on which he was standing he would be electrocuted. Days after these photos were released British newspapers printed a series of photographs of British soldiers also engaged in torture of Iraqi prisoners. In this case, photographs in the Daily Mirror show an Iraqi being battered with rifle butts, threatened with execution, and urinated on by British troops. During his eight-hour ordeal, the detainee had his jaw broken and teeth smashed. He was later driven from the prison by British troops and hurled off the back of a truck. No one knows if he lived or died (Daily Mirror May 1,2004). The US and British governments were quick to condemn the photographs, calling them ‘disgusting’ and promising investigations and punishment of the soldiers involved. Both George Bush and Tony Blair insisted that these were the actions of a few bad soldiers, unrepresentative of troop behavior in general. Facts, however, indicate otherwise. One of the officers responsible for Abu Ghraib prison, Brig. Gen. Janis Karpinski, was a high ranking commander of the 800th Military Police Brigade. She told the New York Times that the cellblock where the torture took place was under the direct control of US military intelligence, who, along with the CIA, “were in and out of the cellblock 24 hours a day.” (Aljazeera. Net 2 May 2004). 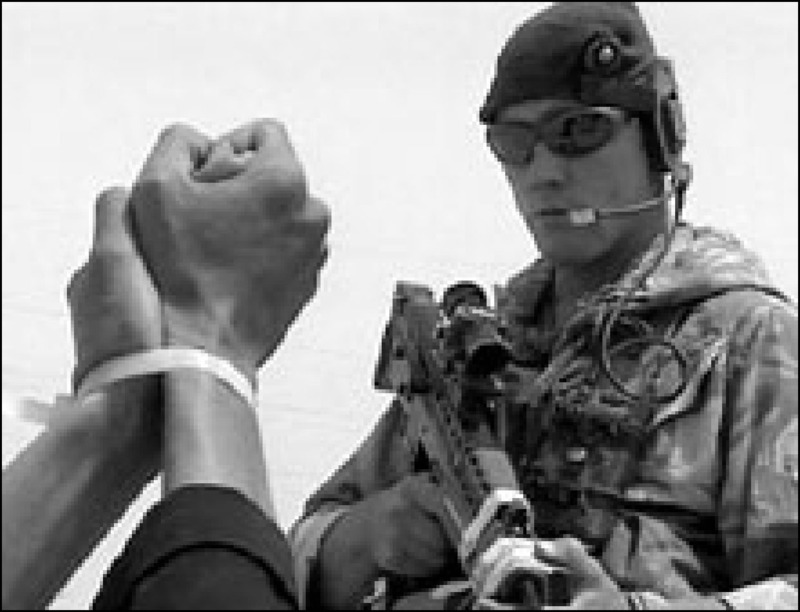 One of the soldiers pictured in the torture photographs claimed that when he questioned interrogation methods he was told, “This is how military intelligence wants things done.” (VOA May 3 2004). Furthermore, well before the invasion of Iraq, the US government was deliberately transferring detainees “off-shore” to facilitate their torture without the restrictions of US law and public attention. The shocking stories of torture taking place in Guantanamo Bay are a direct result of this practice. The new head of the Iraqi prison system is Major General Geoffrey Miller, who was previously commander of the Guantanamo Detention Center. In fact, a shadowy network of detention centers and torture chambers exist across the globe under the supervision of the Pentagon, CIA and private contractors. James Risen and Thom Shanker of the New York Times describe this as “A global detention system run by the Pentagon and the CIA… a secretive universe… made up of large and small facilities scattered throughout the world … Officials described the network of detention centers as a prison system with its own unique hierarchy, one in which the most important captives are kept at the greatest distance from the prying eyes of the public and the media. 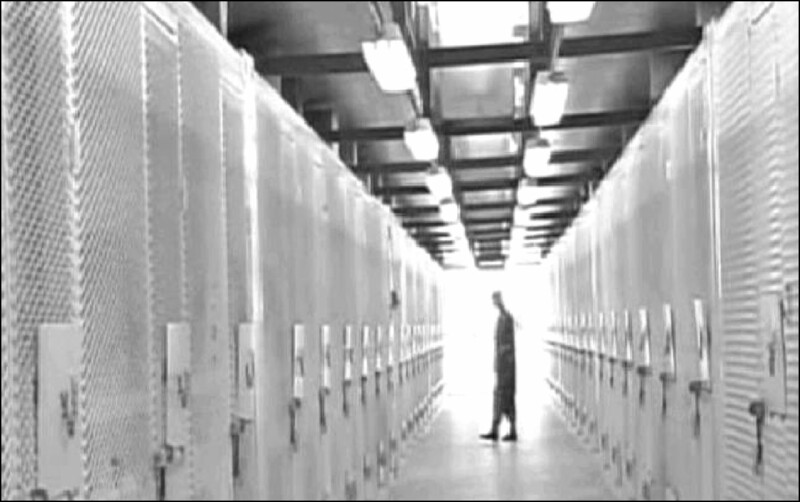 And it is a system in which the jailers have refined the arts of interrogation in order to drain the detainees of critical information.” (New York Times, 18 December 2003). Reports of torture and mistreatment have been coming out of Iraqi prisons ever since the beginning of the one-year US occupation of Iraq. These reports have been widely corroborated by human rights organizations, journalists and Iraqis themselves. These facts indicate that torture and abuse are not the actions of a ‘few bad soldiers’. They are conscious and systematic policies applied by the occupying forces. They form one part of a deliberate strategy that is designed to strengthen the continued occupation of Iraq. This occupation is sustained by a deliberately fostered racism that encourages those in the West to see Iraqis as somehow less than human. “Uncivilized terrorists” who need “democracy” brought to them by the bullets and torture chambers of the US military. The same strategy is practiced by a different occupying power a few miles to the west of Iraq. The patterns of arrest, detention and torture now evolving under the US occupation of Iraq are strikingly similar to those employed by the Israeli military, police and secret service against the civilian population in occupied Palestine. For the 6000 Palestinian political prisoners currently in Israeli detention, the stories coming out of Iraq are all too familiar. 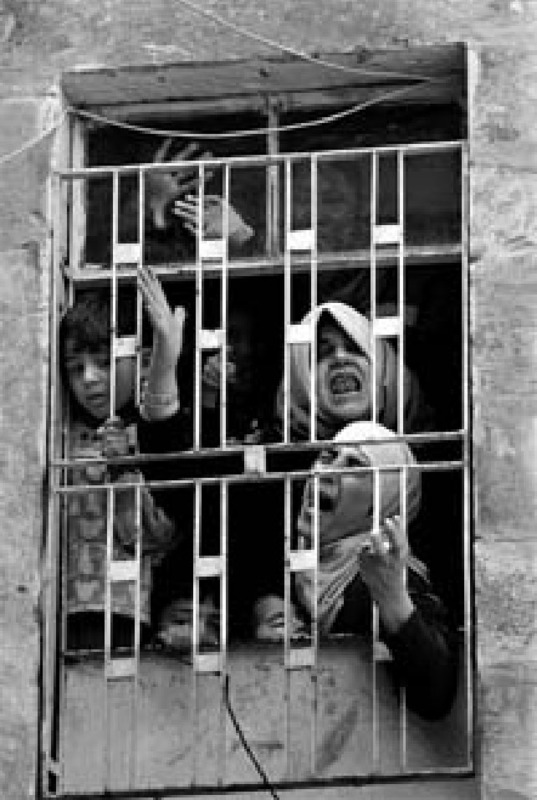 Thousands of Iraqis are currently ‘missing’ – disappeared within the vast occupying prison system or, as many fear, killed by US or coalition soldiers following their arrest. There are five prisons in Iraq whose location is known and at least ten whose whereabouts are secret. The most infamous is the Abu Ghraib prison near Baghdad where the US photographs released in April 2004 were taken, as well as Al-Kazimah, Ar-Rusafah, a prison at Umm Qasr; and one in An-Nasiriyah. The number of prisoners in Abu Ghraib is unknown to all except the US military. The Iraqi Occupation Watch estimates around 80,000 prisoners in Abu Ghraib alone, while the occupying forces website lists only 8,500 prisoners. Most of these prisoners are being held for indefinite periods of time without charge (Amnesty International, 18 March 2004). The US Military Order system, modeled on the Israeli system in the West Bank and Gaza Strip, allows the occupying forces to hold prisoners for 90 days without being brought before a judge (CPA Memorandum no.3). The same military order removes the occupying forces from any jurisdiction by Iraqi courts (AI 18 March 2004). In other words, US, British and other occupying soldiers are considered to be completely above the law in their actions – due to a military order that these same forces passed in the early days of the occupation. Iraqi political prisoners are called ‘security prisoners’ by the occupying forces – the same language used by Israel to describe Palestinian political prisoners. These prisoners have no right to a lawyer for their defense nor does anyone else have the right to defend them or follow their cases (Iraq Occupation Watch). Simply put, these prisoners just disappear into the occupation prison system where their location is unknown and they have no contact with their families or any legal support. According to Amnesty International, many Iraqi political prisoners report cases of torture and mistreatment. Methods used by the occupying forces include prolonged sleep deprivation; beatings; prolonged restraint in painful positions, sometimes combined with exposure to loud music; prolonged hooding; and exposure to bright lights. Virtually none of the allegations of torture or ill-treatment has been adequately investigated. (Amnesty International, March 18 2004). The list of torture methods reads the same as countless reports of the Israeli prison system. In the British-controlled prison where the recent photographs that appeared in the Daily Mirror were taken, at least four Iraqis have been killed while in custody (Amnesty International, March 28 2004). Reports of deaths in custody in Abu Ghraib prison and other detention centers are also widespread. In February 2004, a former US marine testified that it was common practice to kick and punch prisoners who did not cooperate. This soldier was testifying during a hearing into the death in June 2003 of Najem Sa’doun Hattab at Camp Whitehorse detention centre near Nassiriya. Hattab had been beaten and choked by a US marine reservist (Amnesty International, March 18 2004). Over 1500 Iraqi women and girls are also being held as political prisoners with ages ranging from 12 to those in their sixties (Iraqi Occupation Watch). Many of these female prisoners, like thousands of other Iraqis in detention, are being held solely as a means of pressuring their relatives to turn themselves in. They are, in effect, hostages of the occupying forces. Sahib added, “we wore red overalls like those that the prisoners in Guantánamo wear. And even when the weather was extremely cold, the air conditioners would be left running. Food was cold, to say nothing of being spoiled.” He said that the Americans would try to break the morale of the prisoners by claiming that they had killed or arrested members of the prisoner’s family (Iraq Occupation Watch). Arshad Fadl, 19, says that he was forced to stand on his feet for three consecutive days with his hands in chains and his head in a sack. Throughout this entire period, Fadl says, he was not allowed to drink water, to eat, or even to go to the toilet (Iraq Occupation Watch). The US and British military and secret services have a long history of promoting and engaging in torture. The US military academy, The School of the Americas (SOA), has for decades been training Latin American military personnel in techniques of torture and ‘counter-insurgency’. British soldiers have pioneered the use of torture against the Irish Republican movement in the north of Ireland. The logic of occupation demands the use of torture and mass imprisonment as a state-backed policy designed to intimidate and break the morale of an occupied population. Torture is not aimed solely at the victim, but is part of an overall system of control targeting the population as a whole. Thousands of Iraqis have simply disappeared into the prison system where their whereabouts and conditions are unknown. Reports of torture, violent mistreatment and deaths in custody are well-known to all Iraqis and have been consistently documented by human rights organizations, journalists and websites across Iraq. Thousands of Iraqis are being held as hostages by the occupying forces solely to pressure their relatives. The occupying forces deliberately prevent any outside monitoring of these prisons including visits and other family contact, access to lawyers, journalists and human rights organizations. The occupying forces even refuse to disclose the location of at least ten prisons in Iraq. The one organization that has visited some of these prisoners – the International Committee of the Red Cross (ICRC) – is prevented by its mandate from speaking publicly about the conditions inside the prisons. The ICRC makes closed-door consultations with the occupying forces themselves, in effect politely asking the torturers to stop their torture but promising not to tell the world what they know. The question must be asked – did the ICRC know of the torture that occurs in Abu Ghraib prison? All those who see the photographs of US and British troops engaged in torture will be rightly disgusted. That young soldiers can take so much delight in these types of abuse that they wish to capture them on film is an indication that the occupation is not only killing Iraqis. 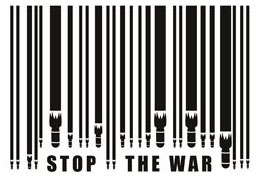 It has also killed the humanity of ordinary US and British people who have been enlisted to fight a war on behalf of imperial interests. Endemic to these interests is a vile racism that is integral to sustaining occupation and is internalized by all those who participate in maintaining this system. We should not forget, however, that this abuse is only a tiny proportion of the violence of the occupying regime in Iraq. The massacres that have taken place in Fallujah and other cities of Iraq by the occupying troops deserve just as much repulsion and horror. The solution is very simple. The occupation must be ended immediately and those responsible for these crimes brought to justice. Close Down Abu Ghraib Prison! Release all Iraqi and Palestinian Political Prisoners! End the Occupations of Iraq and Palestine! 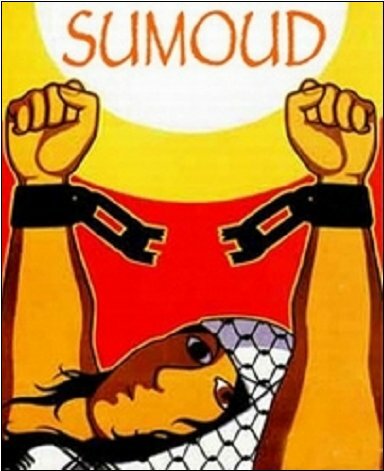 Sumoud (steadfastness in Arabic), is a political prisoner solidarity group established by a group of activists in Toronto, Canada. 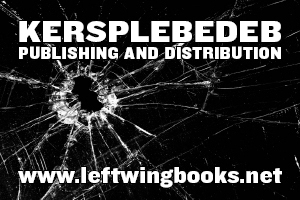 We campaign primarily around Palestinian political prisoners being held by Israel, of which there are approximately 6000 currently behind bars. We also take up the imprisonment of indigenous, immigrant and racialized people in North America, as well as the role of the prison industrial complex in criminalizing poverty and political resistance. To find out more about Sumoud, establish a Sumoud group in your community and support our work, contact us at sumoud@tao.ca or visit our website at sumoud.tao.ca.